The Writing Bug: What do you really want in your (writing) life? What do you really want in your (writing) life? Thinking of my writing life, it stopped me cold. I could answer the second question but not the first. I am mysteriously reaching toward a nebulous goal. I have no grandiose ideas of being rich and famous with my writing, which is good, since my book, My Clients...My Teachers, has not seen the financial transition from red to black on my spreadsheet. I call two weekly newspaper columns volunteer work, and no syndication opportunities are bombarding my snail or Google mailboxes. What do I really want out of my writing life? Such a good question! Oprah did it again; challenged me to think. I contemplated, prioritized, and refined what I want in my writing life: I want my writing to speak to rural women. Women who live outside urban America have always been my target audience. Being one myself, I understand the isolation and challenges of living far from services and support. I also know the peace and self-development emerging from the same environment. I write the newspaper columns, a weekly blog on my website, this bi-monthly blog for NCW, and I give presentations on the value of stories. While writing and speaking, I envision women who live in small towns or on farms. My audience is clear, and I offer no-nonsense thoughts intertwined with humor. I am also attempting, with mega technical frustration, to revamp my website from selling a book to offering rural women a format to share their stories, support each other, and ask me, a mental health counselor, questions. It is a Dear Dr. J. aka Dear Abby format. I give myself a B+ or A- for the second question. I mainly need a large dose of patience for the website changes. I thank Oprah for getting to the core in her questions. She helped me clear up what I want from my writing life, and in the process, helped me recognize the hard work I have done to date. 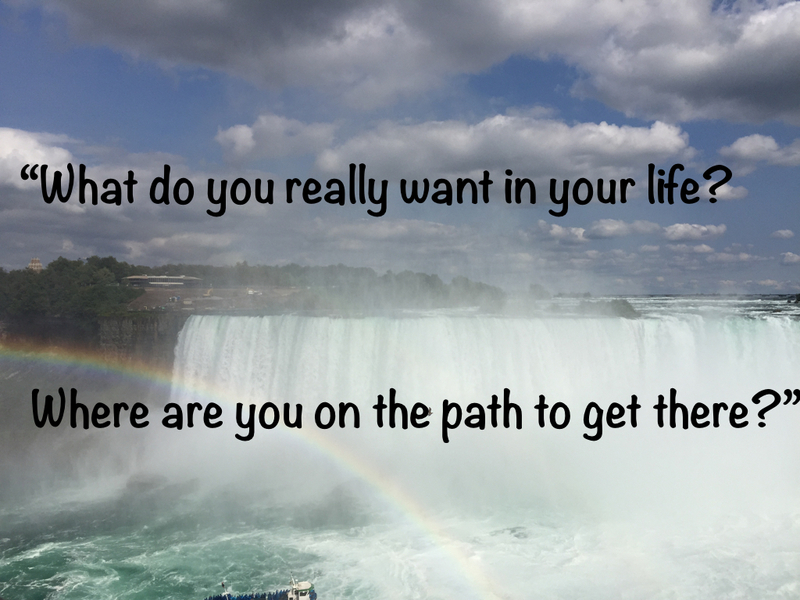 Where are YOU on the path to get there? Those are good questions, Jennifer. Up to now, I've mostly just wanted to get "one more" book published. I guess that's a neverending goal that has worked two times so far with three books published. Now that you and Oprah raise these two big questions, I might need to rethink the plan for 2016.